​When the Washington Nationals are discussed, the first name that comes to mind is Bryce Harper. After all, he is the face of the franchise, and is undoubtedly one of the most exciting players in the game today. Rendon, unfortunately, is in such a deep third base class. With guys like former MVP Kris Bryant, Nolan Arenado, and Manny Machado at the hot corner, getting recognized will be hard; and that is not even the rest of the best. Rendon ranks fourth among all third basemen in batting average, and has 16 home runs as well. Remember, this is the same guy that hit 3 home runs, 10 RBI's, while going 6-6 against the New York Mets on April 30th. This man can flat out hit. Not only can Rendon hit, he can field just as well. ​​Going back to the point where not getting recognized, Anthony Rendon will not be representing the Nationals in the All-Star game. He was part of the final vote, but it was won by Los Angeles Dodgers third basemen Justin Turner, who's also having a monster year. 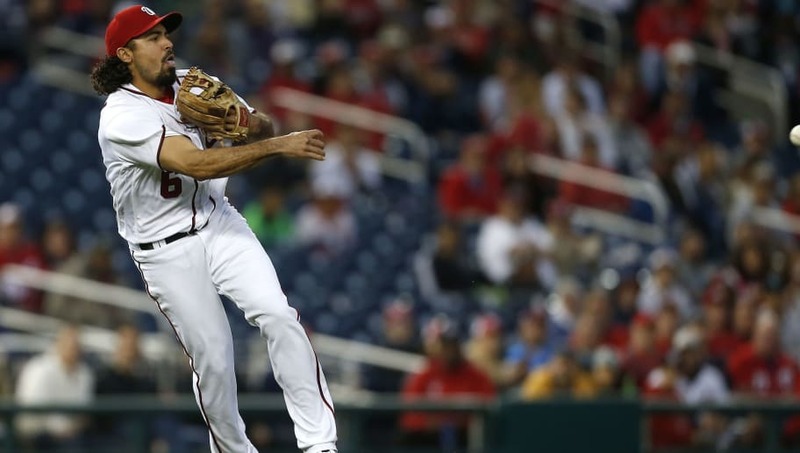 At this point, Anthony Rendon is one of the best players in the league. Never mind the fact is not putting up Aaron Judge like numbers, and does not field like Manny Machado; Rendon does everything you want a baseball player to do. The Nationals will contend for the World Series as long as Rendon produces, and do not be surprised if he is in NL MVP conversations as well.